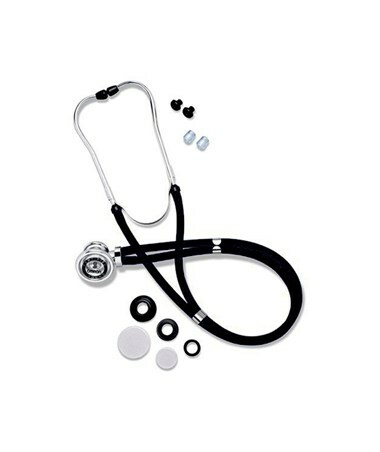 A 5-in-1 multipurpose Quintscope, the Omron Sprague Rappaport-Type Stethoscope is designed for flexibility of clinical needs, sound performance, and affordability. 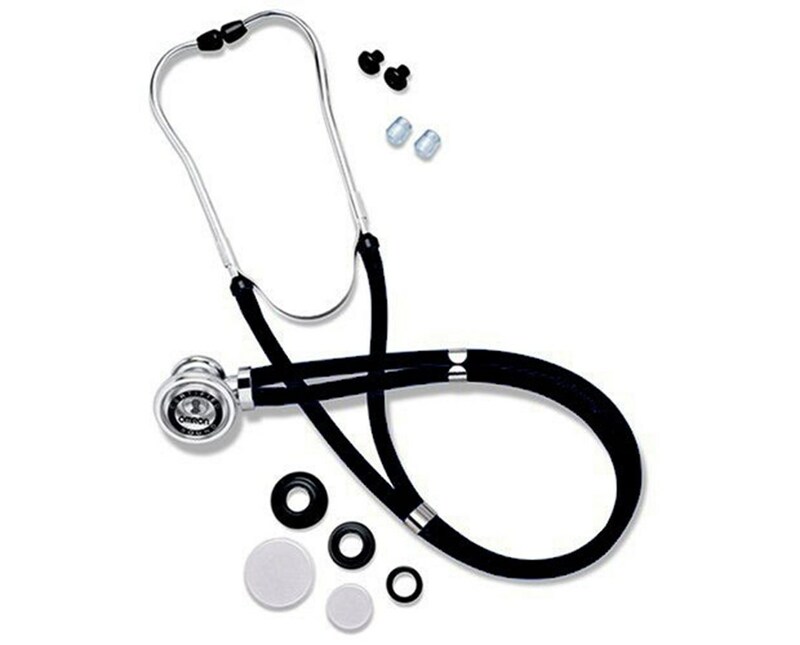 With its complete accessory kit, the stethoscope takes the place of five different stethoscopes - cutting down on expenses, confusion, and clutter. Its five different-sized diaphragms make it highly useful in the detection of a wide range of heart and lung sounds. The included accessory kit features two diaphragms, one child and one adult, to detect faint, high-pitched respiratory sounds and components of certain cardiac sounds. The diaphragm attenuates low-pitched frequencies, making high-pitched frequencies easier to recognize and isolate. Also included are three bells, one infant, one child, and one adult. The bell detects low-frequency cardiac sounds such as first and second heart sounds. Three pairs of eartips - plastic and mushroom - complete the package. The scope's latex-free tubing is available in two colors: black and dark blue (shown). Simply select a color from the drop-down menu in the upper right corner of this page and click "add to cart" for quick hassle-free ordering at the lowest price!